We think it’s officially Spring here in the Interior. Things are melting, we’re gaining daylight everyday, people are full of energy and thawing out from winter. It’s a time to celebrate! We’re pleased to announce that we will have a back-to-back release this month. First, we’ll launch our new Belgian Golden Strong Ale on Thursday, March 19. 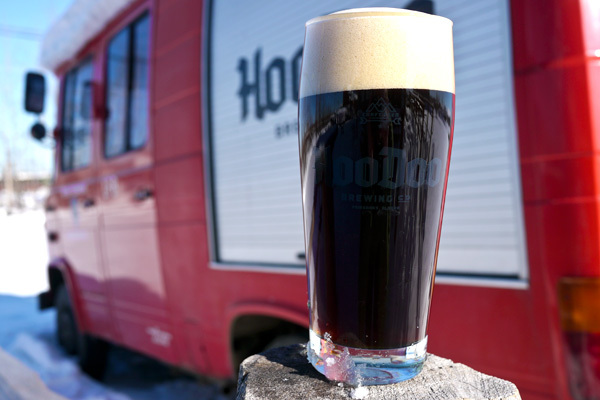 Then the following week, on Wednesday, March 25, we’ll tap our latest Lager creation, the German-rooted Schwarzbier. Learn about these two distinct styles below. 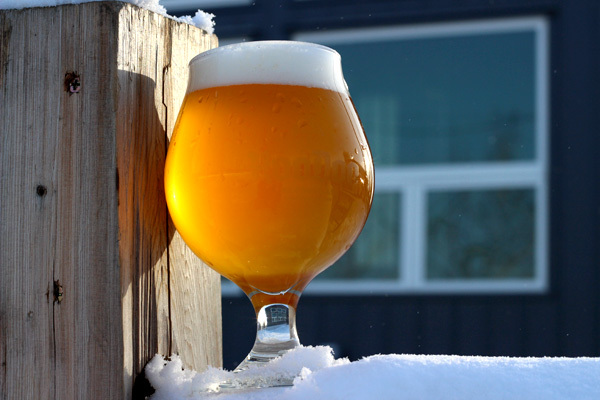 It’s a great time to be in Fairbanks, and in the Taproom! PROST! Dry, Fruity, Effervescent – she’s a sneaky little devil. Originally developed by the Moortgat brewery in the 1940’s as a response to the growing popularity of Pilsner beers, this light-colored Belgian Ale is a complex marriage of fruity, spicy and alcohol flavors over a soft base of pilsner malt, noble hops and Belgian Candi Sugar. Pale and demure with a beckoning sparkle and aroma, its drinkability is unassuming…and sinister. Pronounced “shvahrts-beer,” this beer is not only fun to say, but it’s tasty too! Schwarzbier is to lager what stout is to ale. This dark lager-style originated in southern Germany and is sometimes referred to as “Black Pils.” Our version of Schwarzbier uses 100% German malt, hops and yeast, along with classic German brewing techniques. The result is a surprisingly drinkable, but complex, lager with hints of chocolate, roast, and sweet and deliciously light finish.